Cable, Front Brake - Triumph Motorcycles With Thumb Screw Adjusters 3TA Twenty One, 5TA Speed Twin, T100A Tiger, TR5AC, TR5AR Trophy, T100SS, T100SC, T100C Tiger, T100T, T100R Daytona, T120R, T120C Bonneville, TR6R, TR6C Trophy 1958-67. 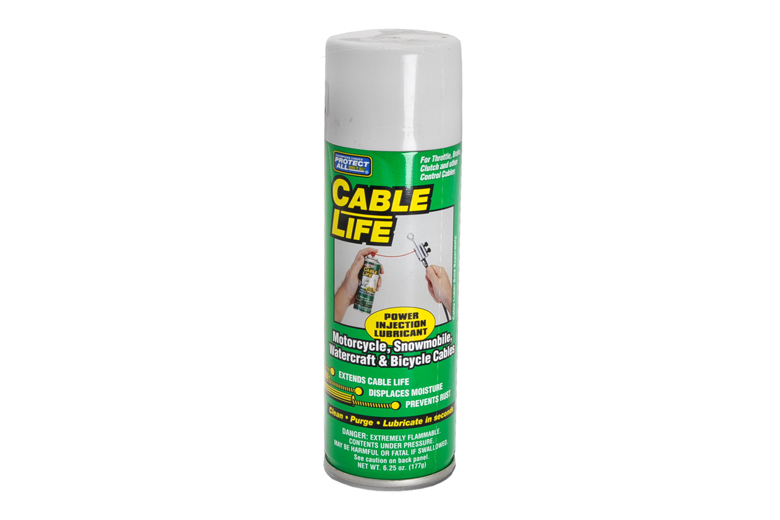 Cable Life Cable Lube 6.25oz. A Non-Drying, Moisture Dispersing Lubricant For All Controle Cables Used On British Motorcycles.